One Fat Frog Restaurant Equipment has several pieces of used counter top restaurant equipment for sale at discounted prices. 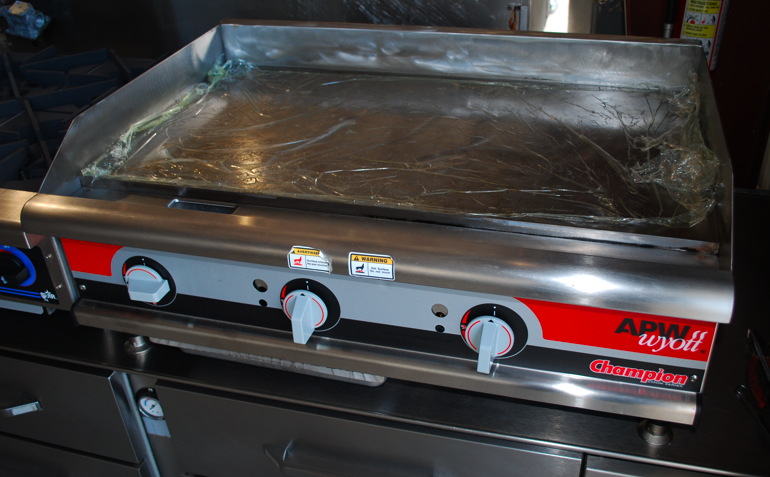 In particular One Fat Frog Restaurant Equipment has counter top fryers, char broilers, burners, and flat griddles. If you’re in the market for a used or new flat griddle there are some things to keep in mind. Griddles range from 18″ to 84″ in width, depending on what One Fat Frog Restaurant Equipment has in stock. The ideal griddle size depends on your menu, number of seats and estimated volume. If griddles are essential to your menu, consider getting a large one. The type of surface is also an important decision. Carbon steel accounts griddles are inexpensive but are tougher to keep clean and properly seasoned. Chrome-surfaced griddles heat more evenly and retain heat better while radiating less energy into the air. Cleaning is much easier on a Chrome-surfaced griddle as well. So if you’re in the market for a used counter top griddle, come into One Fat Frog Restaurant Equipment of Orlando! We can also get you financing for all of the used commercial restaurant equipment you need! Come by One Fat Frog Restaurant Equipment today!